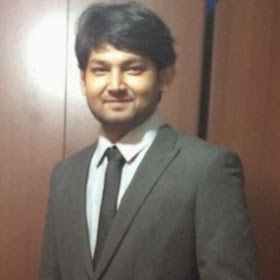 I am second year Dphil student under Oxford-Warwick statistics program OxWaSP - a joint program between department of statistics of two universities. I am currently working with Prof. Gareth Roberts and Dr Murray Pollock on Resampled Scalable Langevin Exact (ReScaLE) simulation method which can be used to address Big Data/Big Model issues. My interest lies in the designing of scalable algorithms with a view of application to the big data problems. 17 July 2017 - Poster on the ReScaLE method. Greek Stochastics, Milos. 23 June 2017 - Resampled Scalable Langevin Exact Method to sample from the posterior distribution. Mini Symposium, Graduate School of Economics, Universitat Pompeu Fabra, Barcelona. 27th October 2015 - ReScaLE method to explore Bayesian Posterior using Quasi-stationarity regime. Young Researcher's Meeting, University of Warwick. 12th June 2015 - Nearly Optimal Bernoulli Factories for Linear Functions. Computational Statistics Seminar, University of Warwick.